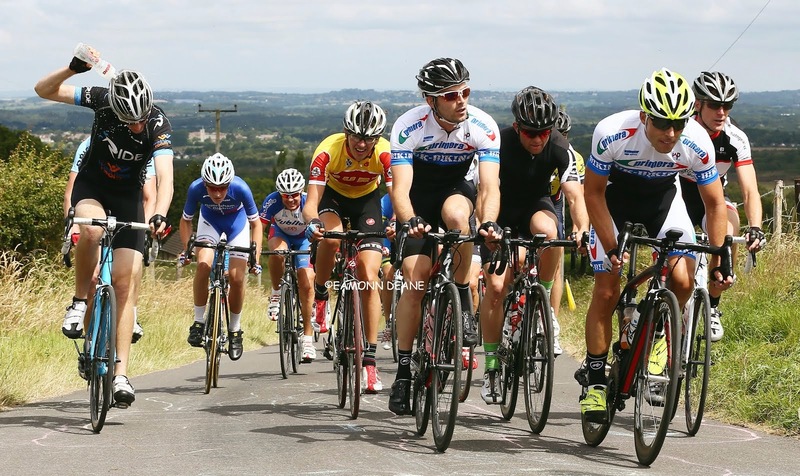 Local Riders,Local Races: Devon Primavera Road Race, Jonathan Tiernan-Locke Heads Start List! 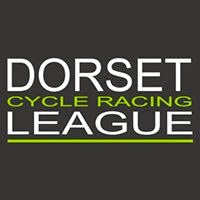 Devon Primavera Road Race, Jonathan Tiernan-Locke Heads Start List! Liam Bromiley (University of Bath CC) won the 53 mile Primavera road race in Devon. Bromiley, winner of the Frome & Dist WH 10 the previous week, escaped into the wind on the final circuit, riding solo all the way along the ridge back to Hatherliegh. Jonathan Tiernan Locke (Saint Piran) won the bunch kick for second place ahead of Fraizer Carr (University Bath CC). Former Sky proffesional Jonathan Tiernan-Locke heads the field at the Devon Primavera Road Races at Hatherleigh.In 2014, his 2012 Tour of Britain win was stripped following the identification of anomalies in his biological passport data from around the time of that race, and he was banned from competition until the end of 2015.Locke blamed the anomalies on alchol in his blood after a heavy night out.After serving his suspension Tiernan-Locke resumes racing on a 2nd category licence.Among those hoping to challenge the former pro will be Liam Walsh (VC Equipe– Flix) who finished 7th at last Sundays Perfs Pedal race, Edward Laverack (JLT Condor), Andy Shackell (Team Wiggle), Paul Double (VC Venta),Michael Cripps (Army CRT), Max Steadman (Pedal Heaven) & Primera-Teamjobs duo, Oscar Hutchings & Calum Croft.Marcin Bialoblocki (Onepro Cycling) won the race in 2015, with a five minute cushion. The supporting 3/4 cat race icludes 18 members of the Mid Devon CC. Cat E/1/2/3 Start at 10.00; Cat 3 & 4 Start at 10.07 and Women start from 10.10. Leave HQ and ride as per the Highway Code to reach the start point. Cross roundabout onto the A3072. And at the top of the ride turn left into the Industrial Estate. Line up outside the Bones Unit. Leave the Indutrial Estate and turn left onto the A3072. Race is denaturalised at the de-restriction signs. Continue on A3012 through Highampton to reach At Beara Cross go s/o. Pass Brandis Corner to Dunsland Cross. Go left on to A3079 (M2). Continue to Halwill Junction and roundabout. Turn left (M3) into Station Road. In 60 yards bear left again into Higher Station Road. Continue on unclassified road towards Chilla. At Graddon Cross where road goes left for Chilla bear right (M2). At Beara Cross and A3072 turn left (M2) to complete one circuit of 11.3 miles. E/ 1/2/3 Race - Repeat circuit 2 more times and then at the third time of reaching Halwill Junction r/bout take the second exit –still the A3079 to pass through Thorndon Cross to Fowley R/bout. Cat 3 & 4 Race - Repeat circuit 1 more time and then at the second time of reaching Halwill Junction r/bout take the second exit –still the A3079 to pass through Thorndon Cross to Fowley R/bout. Women’s Race – The first time at Halwill Junction r/bout take the second exit – still A3979 to pass through Thorndon Cross to Fowley R/bout. At Fowley R/bout (M1) ALL riders take first exit onto the A386. Go left at the Place Cross R/bout (M1), still A386 to pass through Folly Gate. At Hatherleigh r/bout (M3) take second exit to finish in 800 metres level with “junction ahead” sign. Prime point level with the bus stop approaching Halwill Junction and on the RH side and just before the junction with Stags Wood Drive. The bad weather in the last 12 months has resulted in many sections of roads, and today’s circuit is no exception, being subject to potholes etc. If you want to finish without punctures etc. fit suitable equipment. Totnes Vire National “B” Stage Race on Saturday and Sunday 2nd and 3rd April. Stages 1and 2 have the HQ at Halwill Junction. Stage 1 is over 6 laps of the 11.5 mile Halwill Junction Circuit and starting at 10.30 hours. Stage 2 is an individual time trial 3.5 mile from close to Dunsland Cross to the Halwill Junction finish line. The final stage moves to Okehampton. It is 70 miles long and covers 4 laps of a testing circuit that takes in the Old A30 to Whiddon Down then the A3124 towards North Tawton and the A3072 back to Okehampton.. Stage Race Secretary: - Ken Robertson, 9, Barnfield Road, PAIGNTON, TQ3 2JT – Preference given to 4, 5 or 6 man teams. Entry Fee is £40.00 per rider. 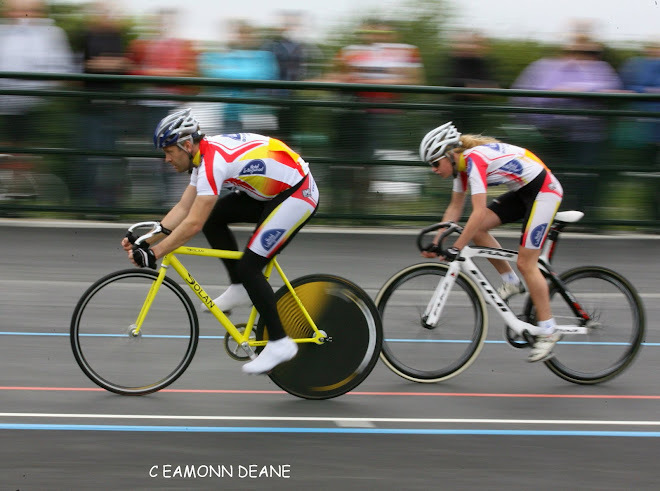 The Paignton Regatta Circuit Races will be on the Torbay Velopark on the morning of Sunday 7th August.